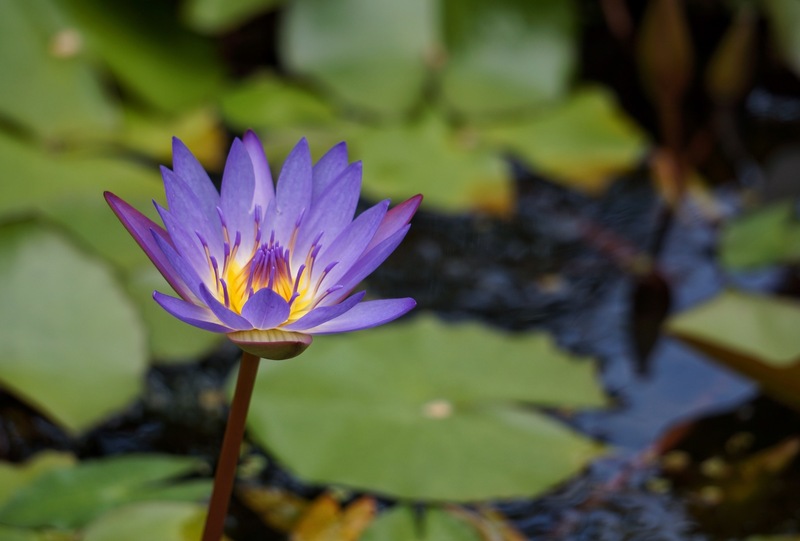 For me, this glorious water lily symbolises holiday time in Port Douglas, Far North Queensland. It’s petals and radiant centre can only be seen during the day. As soon as darkness descends, the bloom closes, held tight within a teardrop shaped bud. It serenely stands sentinel over the pond, evoking a feeling of peace and calm. This trip has reinforced the symbolism, as it has rained every day. Yes Water lilies, a Buddhist symbol. I remember around the Summer Palace moat in Beijing hundreds of them all around. Lilies grow in mud and the flower up and up towards the Sunlight. The flower in the case of the white lily is symbol of purity and a play on the human condition striving for perfection, from mud to light.